How do customer needs, your needs and wants become real products and services? Smart systems and processes mixed with skilled and caring people will take you there. 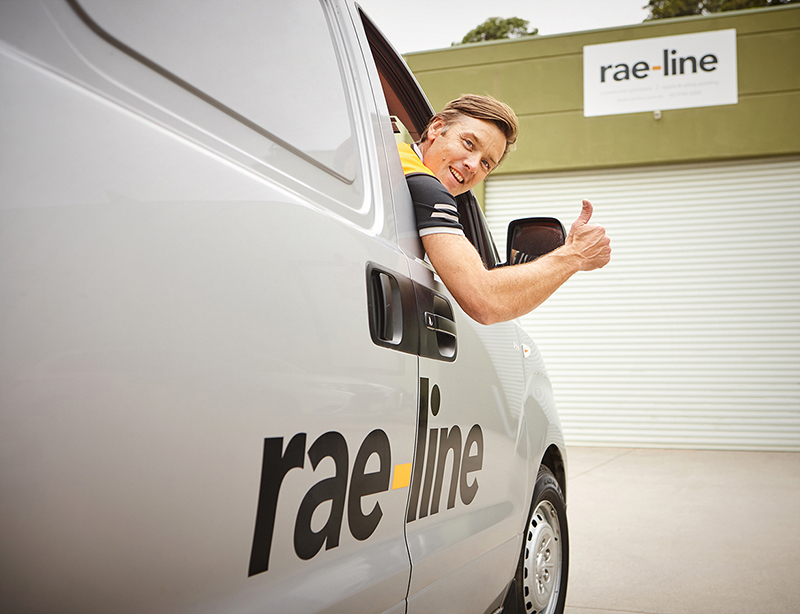 Learn below how the Rae-Line team make this happen every single day. With some very impressive accomplishments, like 12 years without a late part to a major customer and quality levels at and beyond 50 PPM (Parts Per Million). 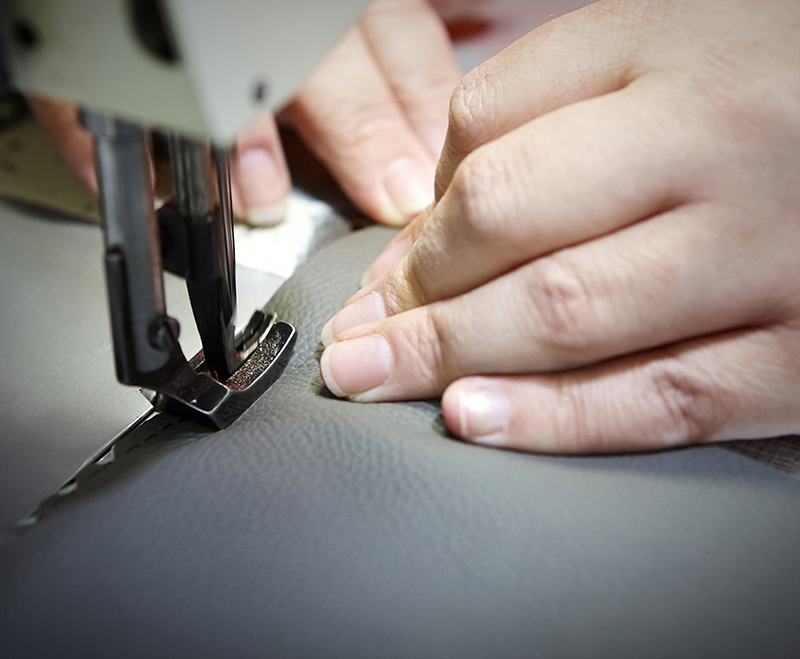 Rae-Line looks forward to assisting you with your commercial upholstery or your sports and safety padding needs. Skilled and caring people supported with the latest machinery, systems and software allow Rae-Line to achieve great results. 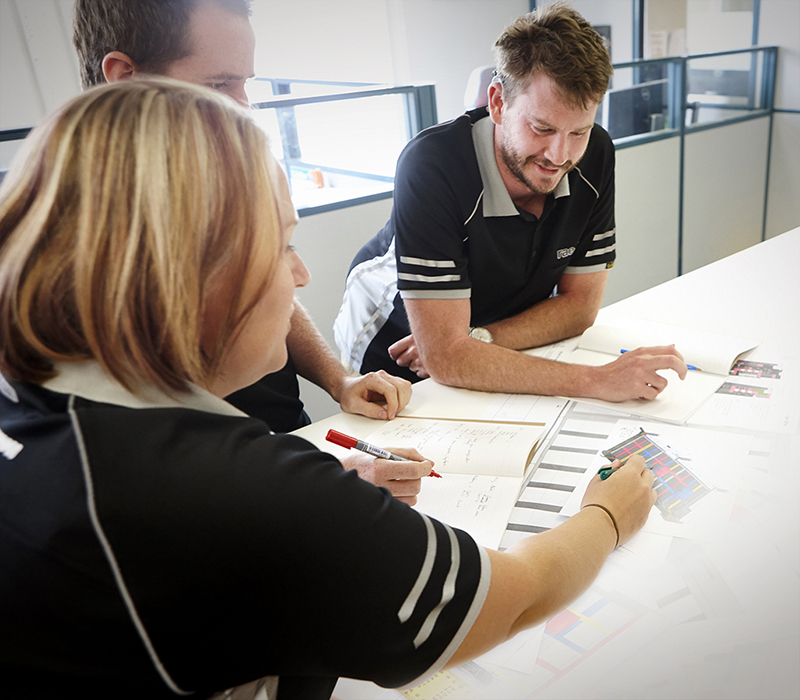 Our Product and Process Development Team custom design each product with precision and care. 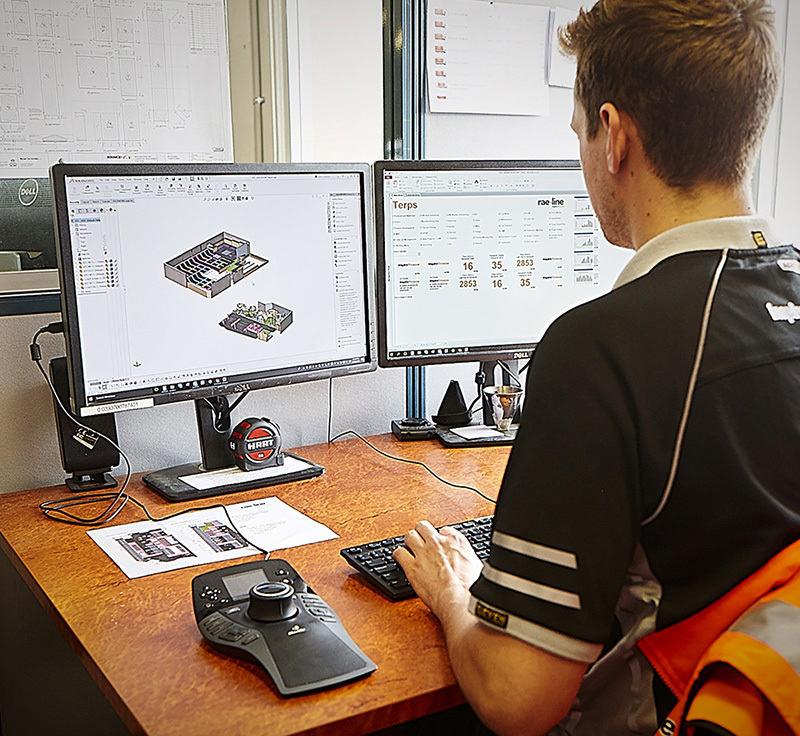 They utilise state-of-the-art design software, SolidWorks and ExactFlat, to design a range of products. 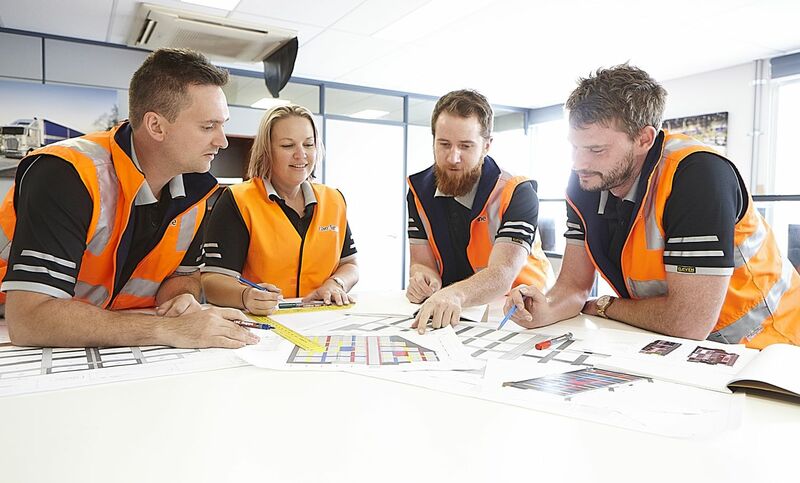 This allows the design and engineer team to pattern to perfection. In addition, these tools are used to perform product testing and measurement. 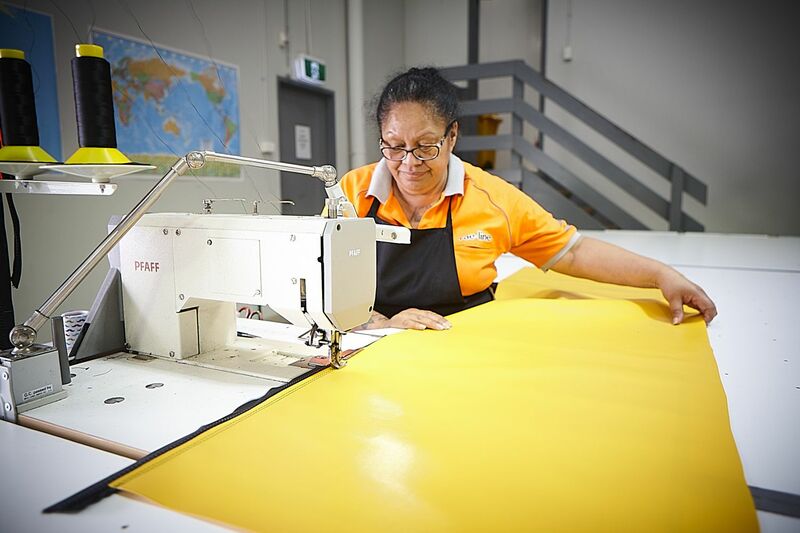 Highly accurate patterns with professionally placed sewing nicks and marks allows for a superior cutting, sewing and upholstery outcome, all resulting in fabulous looking sports padding and commercial upholstery solutions. Not all foams are created equal. Each application requires careful selection of the right type of foam, at the right density, at the right thickness and often even the right combinations of foams. Then the relationship between the fabric cover or carpet top has a significant impact on the performance of the sports padding solution too. All of this must be taken into consideration to ensure the right solution is implemented. The next significant area of consideration is that not all foams are manufactured to the same quality specifications. 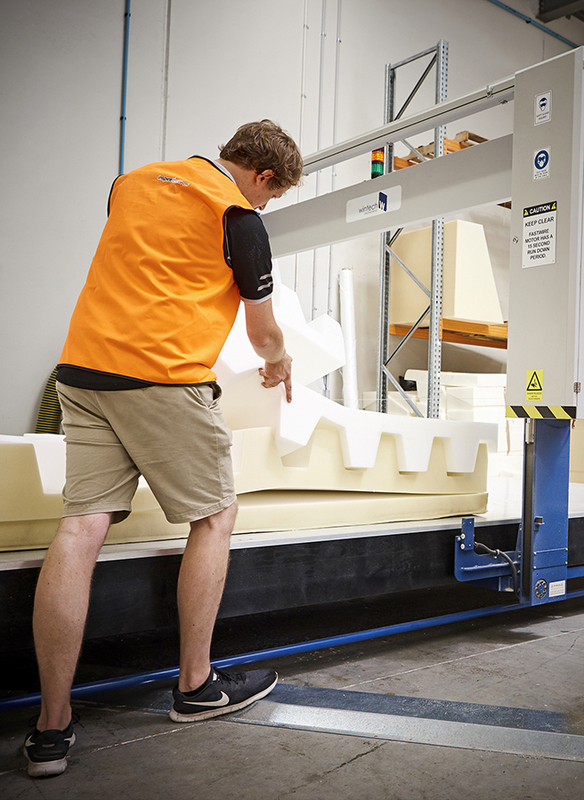 The components that go into manufacturing the foam and the manufacturing process play a big role in the way the foam performs and can be equally important to the durability of the foam. The durability will have a significant impact on the life cycle cost or the overall cost of your padding solution. If your padding solution or your impact attenuation system lasts twice as long then it’s cost is effectively halved. 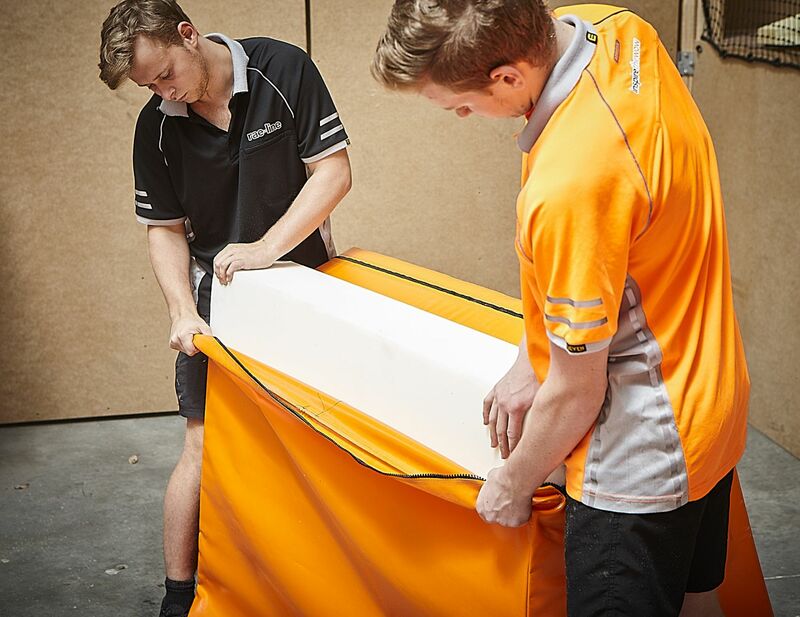 Rae-Line have real life experiences and examples of sports padding solutions lasting four times as long as our competitors. A small premium at the beginning of a project or venue build can be easily offset by significant product life extension. Our team has developed an impressive system for scientifically testing sports padding in venues and mapping the results allowing owners and managers to have a accurate picture depicting their sports padding and helping them predict when part or total replacement may be necessary, to remain within specification and keep their customers and clients safe. The manufacturing process is managed by dedicated software that ensures a smooth process. 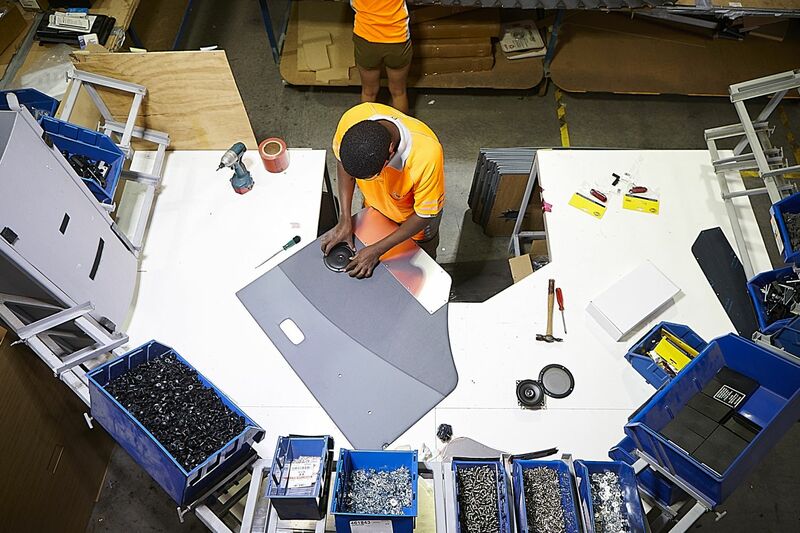 If there are issues during the manufacturing process, the process improvement system sends a message directly to the team-leaders and supervisors’ mobile phone, reporting the issue. 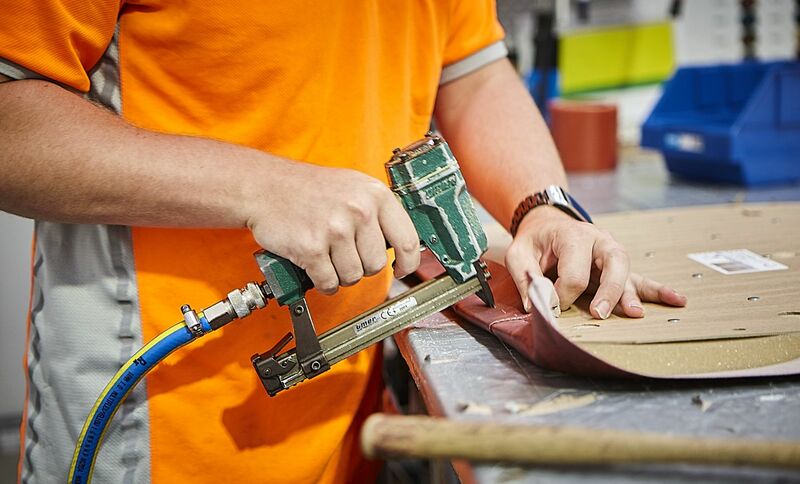 This helps ensure that your commercial upholstery, sports padding, fabric cutting or production sewing job will be ready on time and to the highest quality. 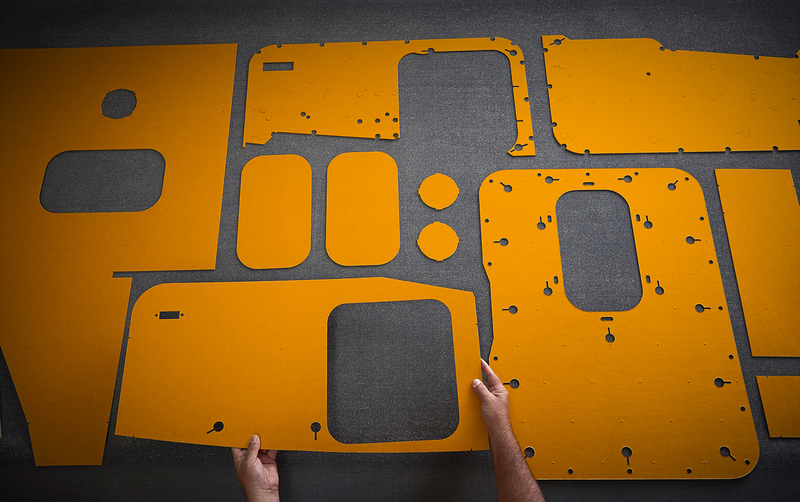 Commercial Fabric and Foam Cutting – Designs are cut using Pathfinder and Aristo cutting machines. 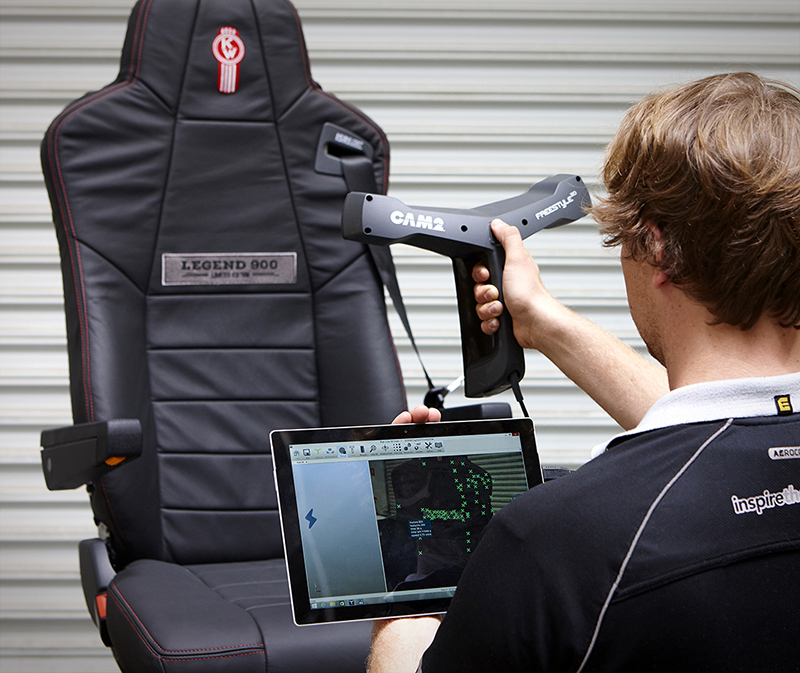 This allows for very accurate and competitive fabric and foam cutting. 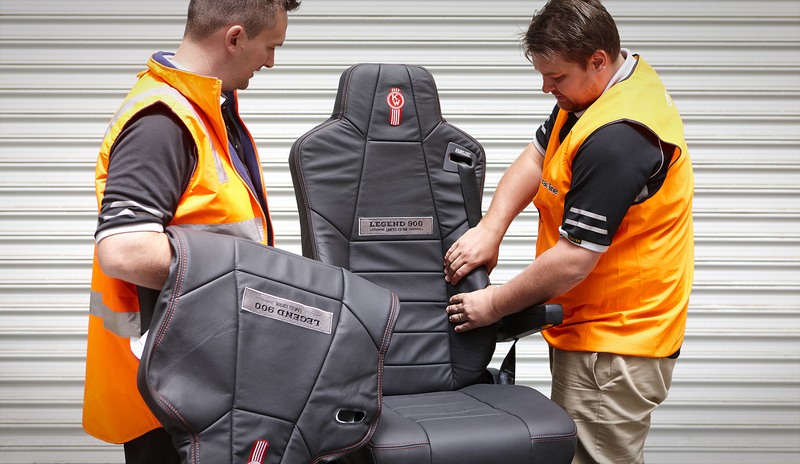 Parts are kitted, ready for delivery to the customer or our assembly and upholstery departments. 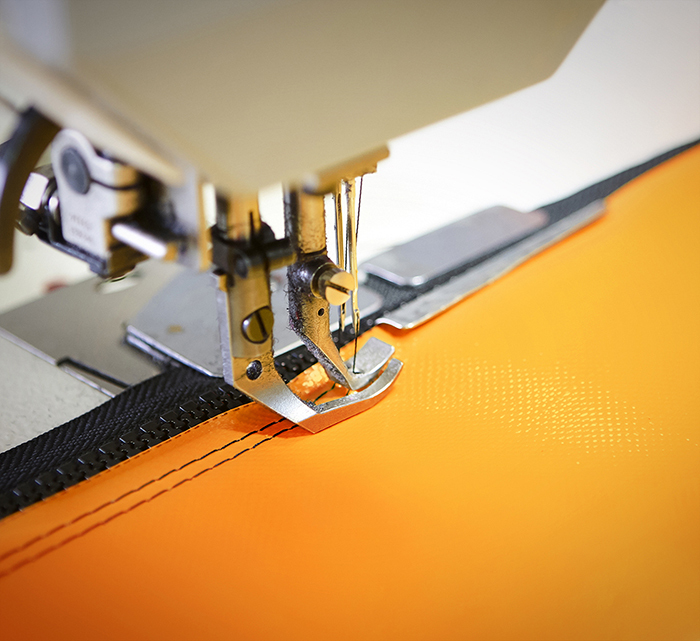 Industrial Sewing Services – Our professional sewers use single needle and twin needle machines for assembly. 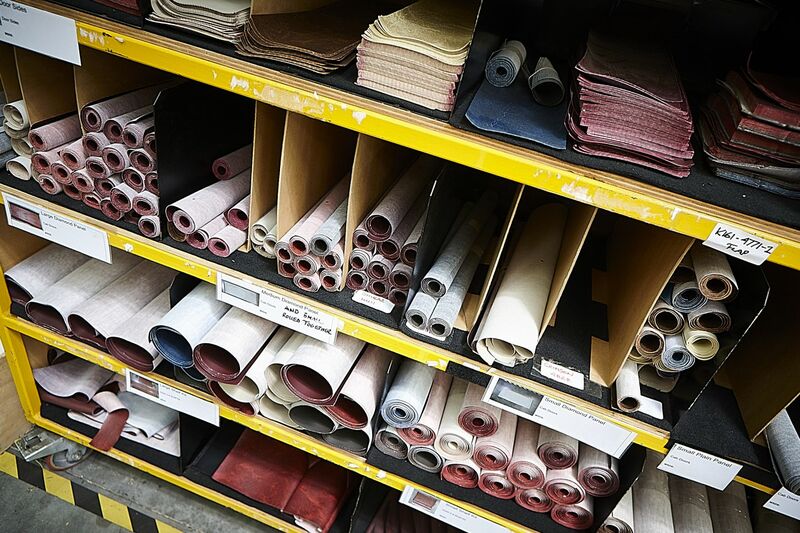 If heavy sewing is required, which is no problem for our team who are experts in fabric, vinyl, canvas, twill, neoprene and leather sewing. With 45 plus years in production sewing our team is ready for your commercial sewing project, contract sewing needs or heavy duty industrial sewing services. Our sewing factory is well equipped with air-rise sewing tables and many sewing machines. Our team are qualified and trade trained. 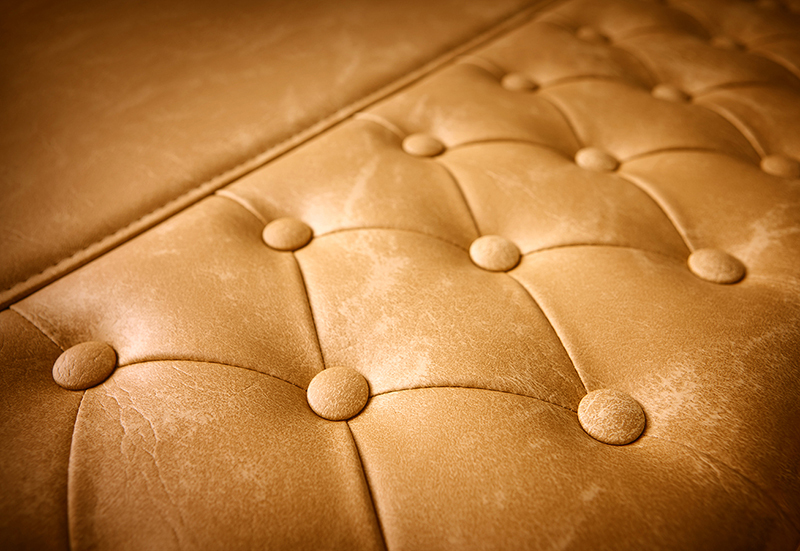 With years of experience in the industry and a wealth of knowledge behind them, they are more than equipped to perform both simple and complex upholstery jobs. From small to large pieces, our team of professionals can do it all. We pride ourselves on always delivering award winning quality. 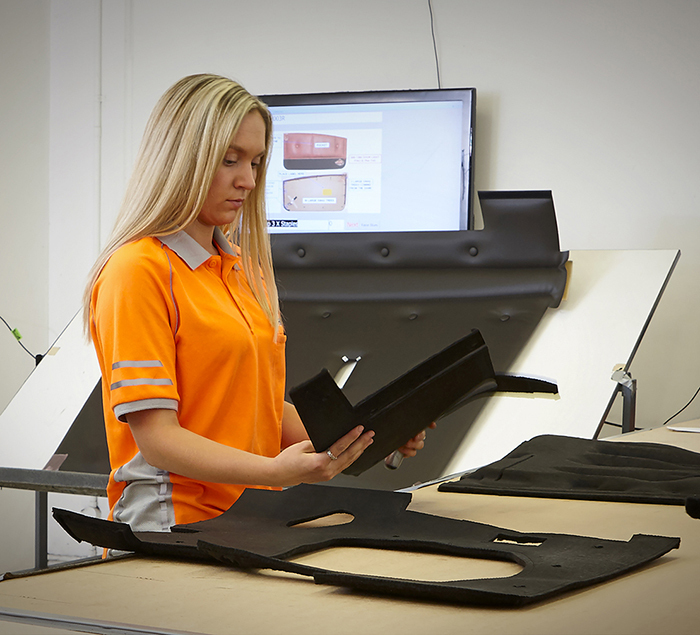 Our team offers full part traceability and keeps images of finished products with customer order numbers. 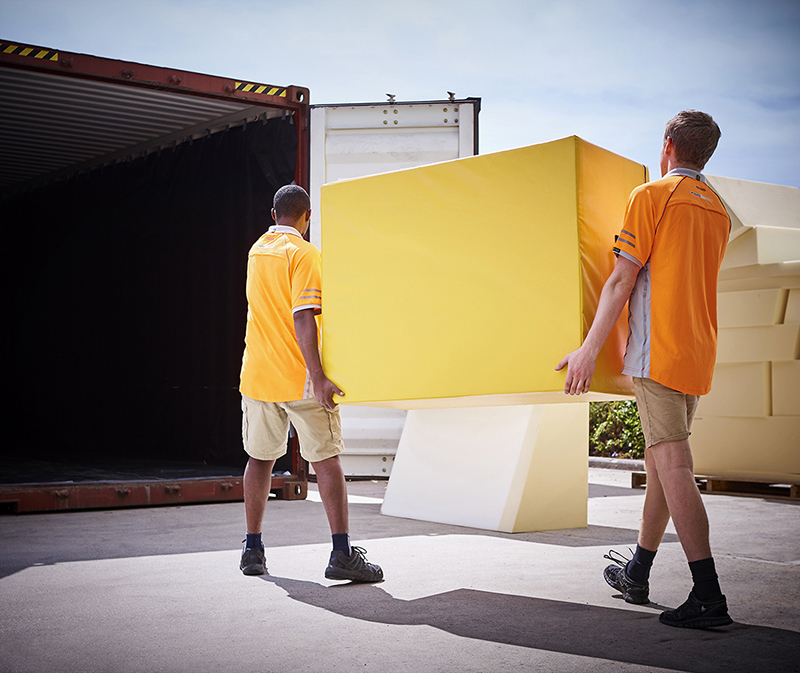 Our team provides award winning, on-time delivery. With line sequencing of parts and deliveries and direct-to-line deliveries, we guarantee customer satisfaction. 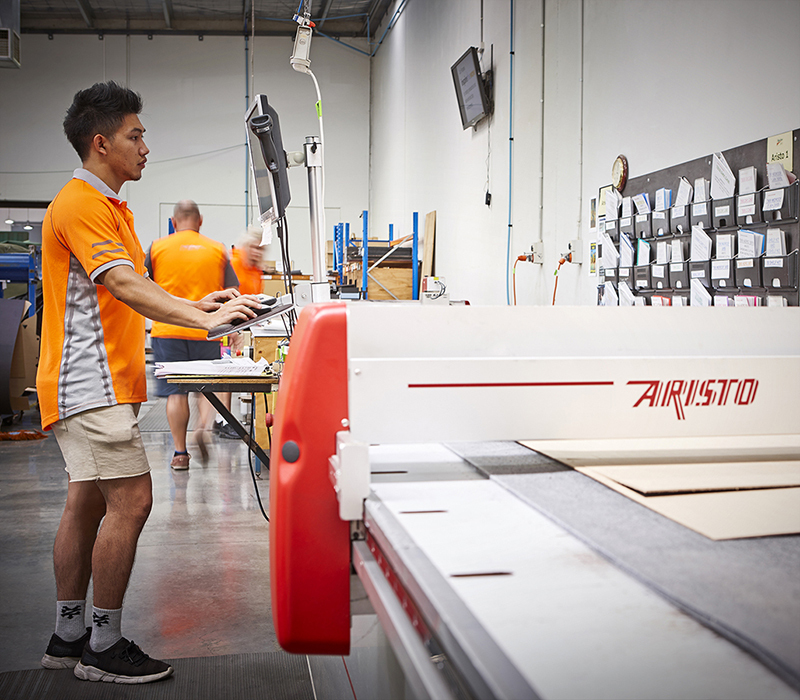 With facilities in both Kilsyth, Victoria and Yatala, Queensland we can service your automated fabric and foam cutting, commercial cutting, commercial sewing and industrial sewing needs quickly and efficiently.